This is the second attack on female students over the past two days and the third attack since early last month. 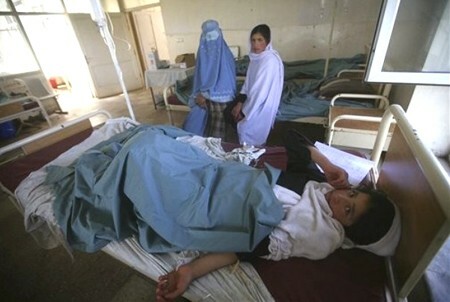 KABUL -- Nearly 100 girl students and teachers of a school in Kapisa province, 80 km north of the Afghan capital Kabul, mysteriously fell unconscious on Tuesday, spokesman of Public Health Ministry Ahmad Farid Rahed said. "A possible poisonous gas attack in Qazak Girl School this morning in Kohistan district has sickened 90 students and seven teachers," Rahed told Xinhua. The affected students felt dozy and vomiting, he added. Rahed also said that investigation is underway to identify the reason for the tragic incident. 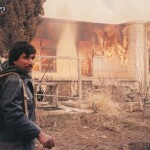 A similar attack on a girl school in Charikar, the capital of Parwan province, sent 52 students to hospital while previous attack early last month had sickened over three dozen female pupils. No groups or individuals have claimed responsibility so far.